Riddle games have an interesting history in many different cultures throughout the world. Here are some random facts related to this category of entertaining riddles. Shakespeare used riddles in many of his literature works to help keep his audiences engaged. One of the most popular riddle games performed in groups is called Charades. Many youth groups and work groups use riddle games to help build closer relationships with each other. Puzzling questions have been a part of many works of literature including the fictional bestseller "The Hobbit." One of the first historical figures in recorded history to use riddles is Archimedes of Ancient Greece. One of the most popular online activities to pass time is to take part in fun riddle games. In this section you will find one of the largest selection of game riddles available in one place. Though these challenging mind games are thoroughly entertaining, they aren't really meant for people who give up easily. Also, sometimes these riddles games take a huge chunk of time to complete. Be sure to keep this in mind before you decide to take on these mind challenging exercises. Oh and by the way. 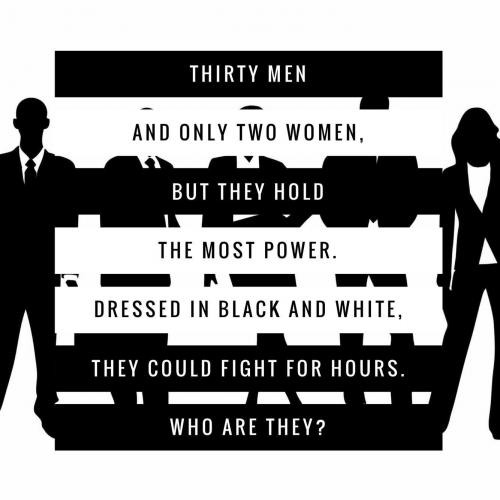 These game riddles are a great thing to do in bunches. Having some friends over? Spending time with the family for once? Keep everyone's mind busy and stay entertained with this extensive selection of riddle games. Five couples went to the prom as a group. The boys' names were Mark, Quintin, Jim, Bob, and James. The girls' names were Amanda, Betty, Susan, Jessica, and Jasmin. Each couple wore matching colors of either blue, yellow, red, green, or pink. Match the dates and the color they are wearing. 1) Two couples have the same first letter in their name. One of those letters is "B". 2) Susan wore red and Jessica wore blue. 3) Susan has more letters in her name than her date does. 4) Neither Mark nor Quintin went with Jasmin, who was wearing yellow. 5) Amanda went with Jim and they did not wear green. Mark and Susan wore red. Quintin and Jessica wore blue. Jim and Amanda wore pink. Bob and Betty wore green. James and Jasmin wore yellow. Spin me, spin me, round and round. The pot's at stake when I fall down. You may get nothing, you may just win. If I land on shin, more pieces go in! What am I? Finish this Mad Hatter quote, "and the twinkling of the _________."? I am a country but I become a part of your body if the last alphabet of my name is removed. Can you name me? 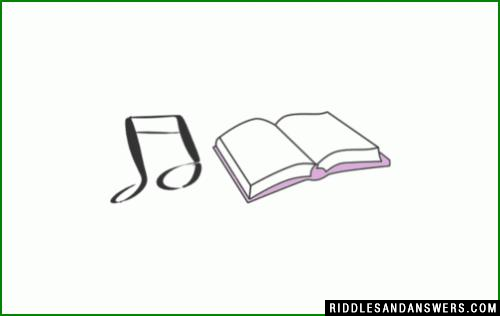 What does above rebus riddle identify? There are three Doraemon images in the given picture. One of them is slightly different than the other two. 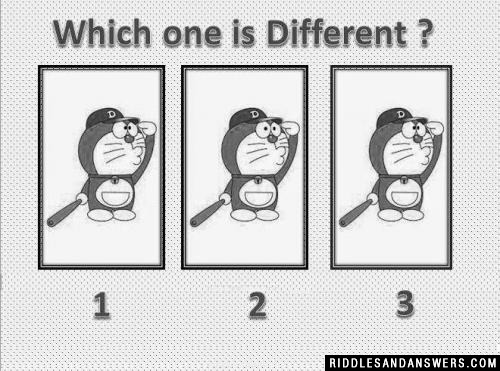 Can you find out which one is different? Look at the eyes of all the three images. The second one has eyes positioned at different places. 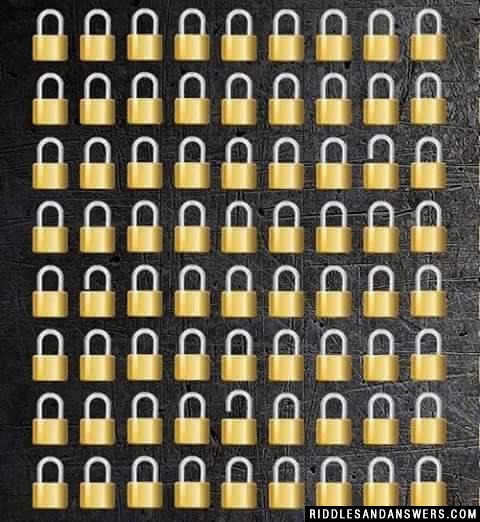 This is why the second image is the odd one out. Unscramble the words To find the places (Towns and Countries) that are hidden here. One evening there was a murder in the home of married couple, their son and daughter. One of these four people murdered one of the others. One of the members of the family witnessed the crime. Can you come up with a cool, funny or clever Riddle Games of your own? Post it below (without the answer) to see if you can stump our users.